GlycoSource has been developed as a brand for company Science Fitness in partnership with the well-known Leeds Carnegie Institute for Sport, Physical Activity and Leisure at Leeds Metropolitan University. The product claims to reduce the carbohydrate levels in your drink by 44% but at the same time replacing glycogen 30% faster than using pure carbohydrate. This in turn has been proven to increase glycogen in the muscles and the liver. With Sport Fitness claiming this as a ‘revolutionary’ new product to the market it may take a while to catch on even with those claims, however, with nutrition in sport a key factor in performance both in training and racing it won’t be long if the claims are right that more companies will follow suit. GlycoSource combines maltodextrin and galactose (worth noting if you suffer from galactosemia) with whey protein and the amino acid leucine, so in essence is a carbohydrate / protein mix, long thought to aid glycogen production compared to carbohydrates alone. 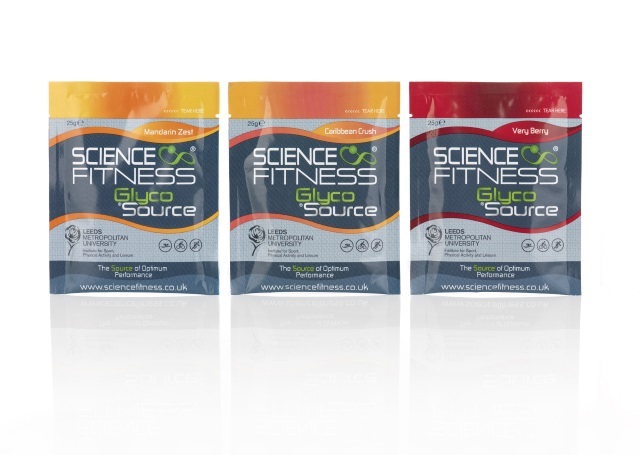 The GlycoSource powder drink comes in 3 flavours, Mandarin Zest, Very Berry and Caribbean Crush. The initial taste of the flavours were fine although they came across a little sharp and over powering compared to my existing drinks nutrition. They also had an aftertaste similar to strong sugary cordial which lingered a little too long for my palate. The added amino acids in the drink may contribute to this and took some getting used to. The drink mixed adequately but only after following the instructions to shake for a whole minute, the first attempt at this following my tried and tested ‘put powder in and shake a bit’ left a quantity of powder residue in the bottom of the bottle, which is most likely down to the added whey power. I am sure before and after exercise this won’t be an issue but during intense exercise taking a full minute to dissolve a drinks powder will become frustrating. After a few training sessions with GlycoSource I had no GI issues and it seemed to settle well. I may not be the best person to compare this as my stomach is pretty bullet proof so I wasn’t expecting any issues. 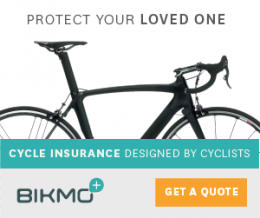 The claims of increased delivery of glycogen and improved recovery speed are hard to prove or dispute with a new product but with the depth of research and the reputation of Leeds University behind it you can be sure their trial results will encourage a keen audience looking to find that edge over the competition. The science may indeed be sound but the taste, at least in my opinion, was overpowering and during exercise of an extended period where you can become sensitive to stronger flavours could be an issue.